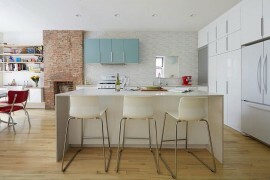 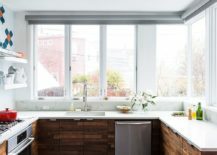 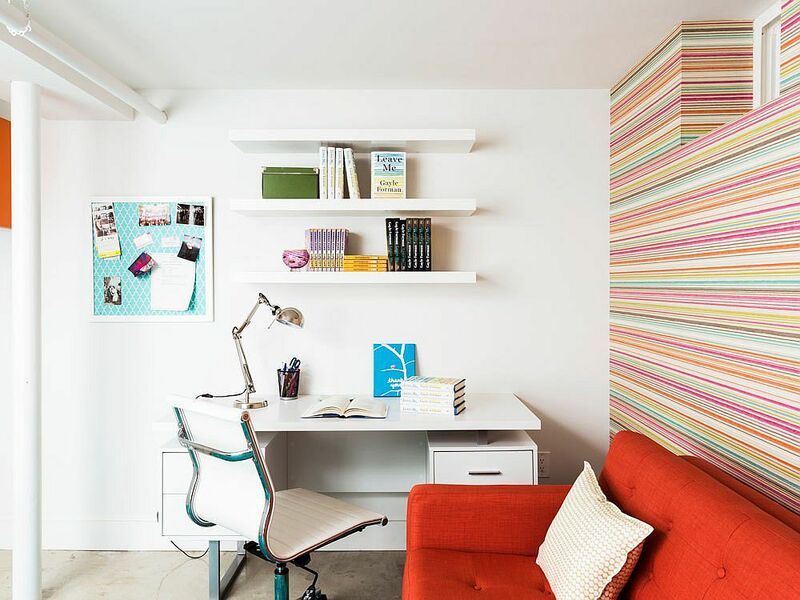 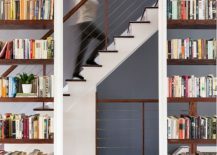 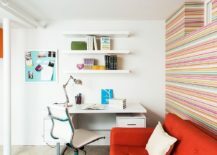 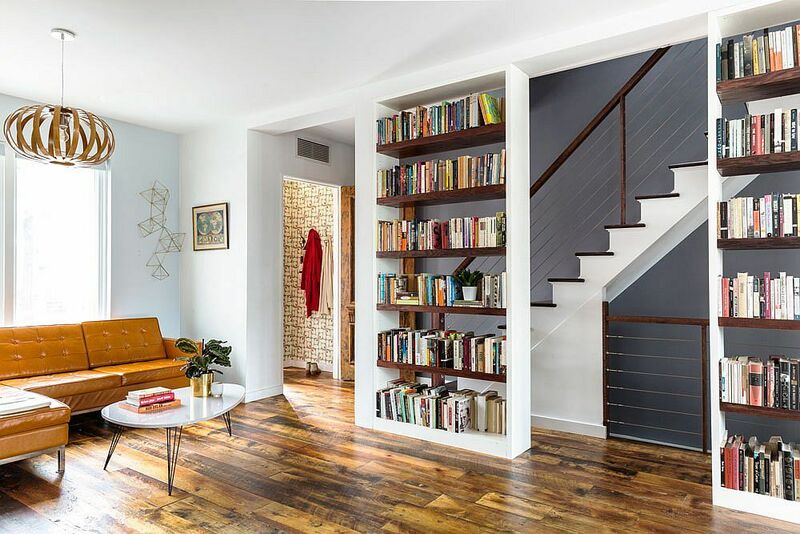 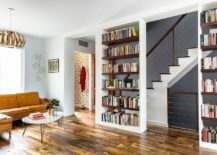 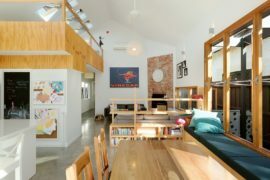 Translating a couple’s love for books and music into a stylish, innovative and light-filled home in Brooklyn, BFDO Architects completely revamped the interior of this gorgeous rowhouse. 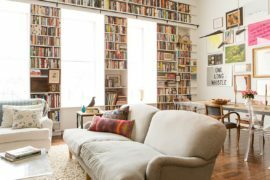 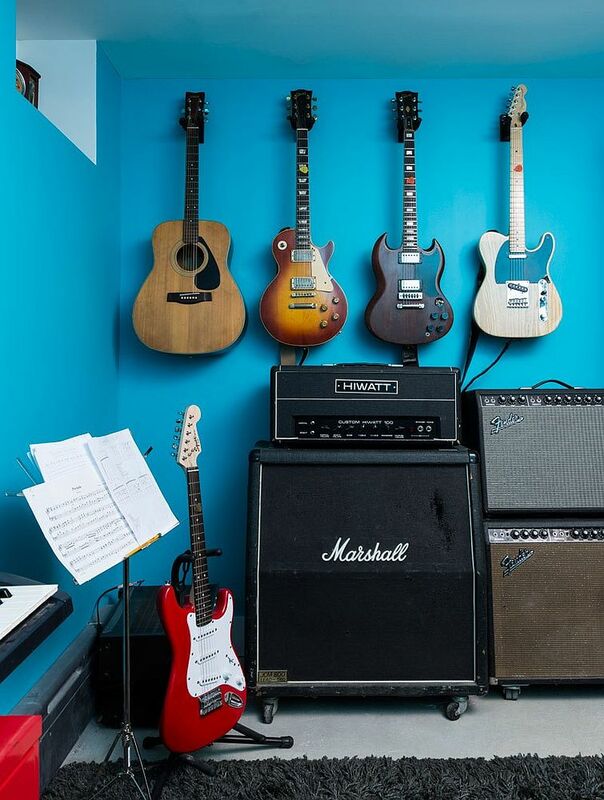 The new, cheerful interior of this aged house reflects the specific aesthetic and lifestyle choices of its owners – Brooklyn-based writer Gayle Forman and her musician-librarian husband Nick Tucker. 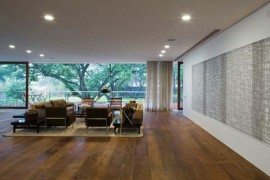 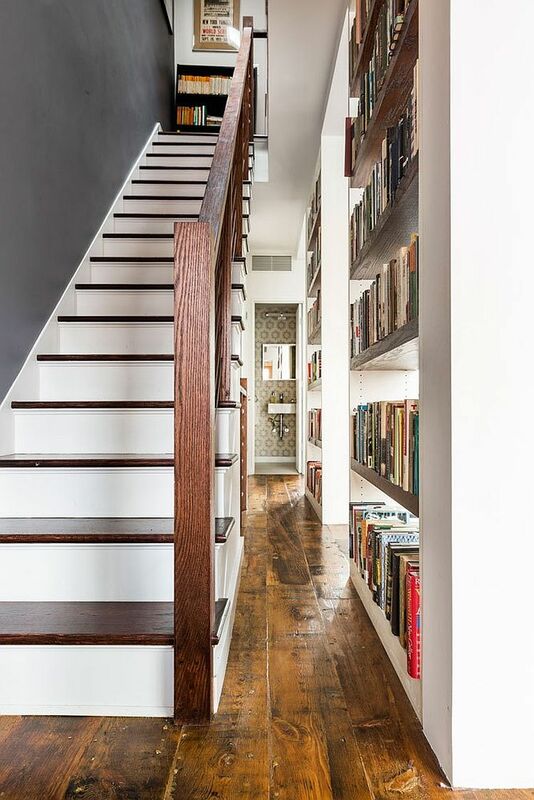 Keeping the backdrop neutral and elegant, the revitalized home features elegant bookshelves on the first floor that cleverly incorporate existing support columns. 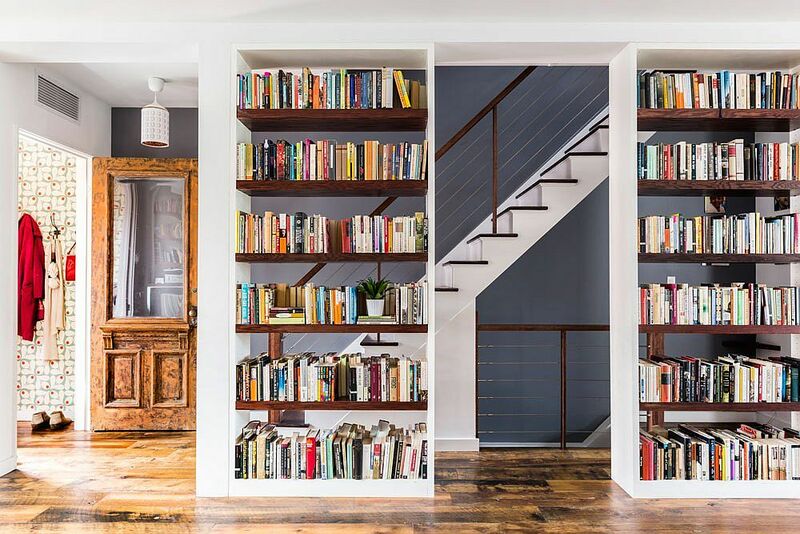 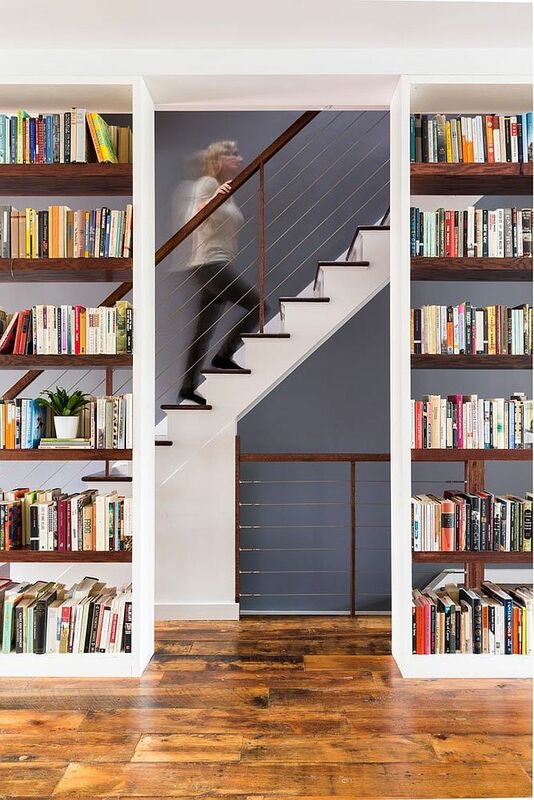 But the chic transformation goes much beyond these striking bookshelves! 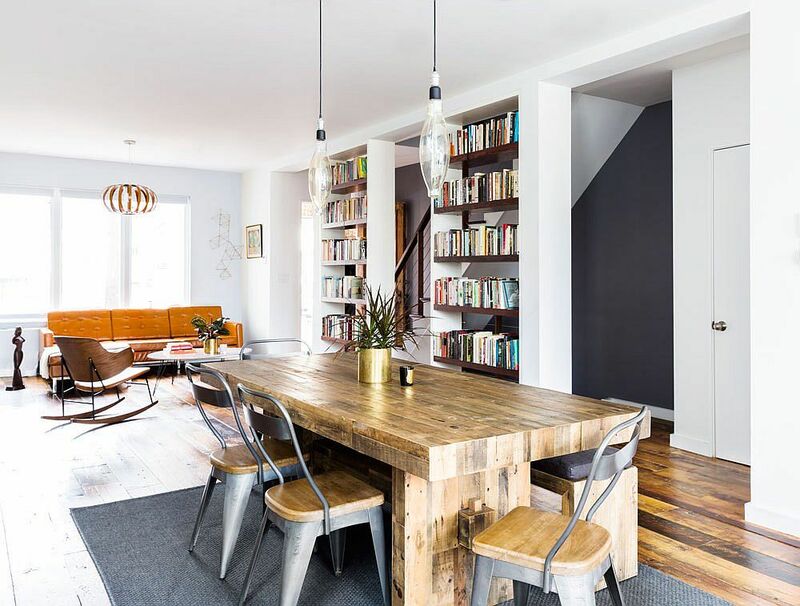 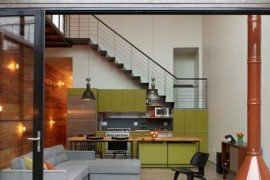 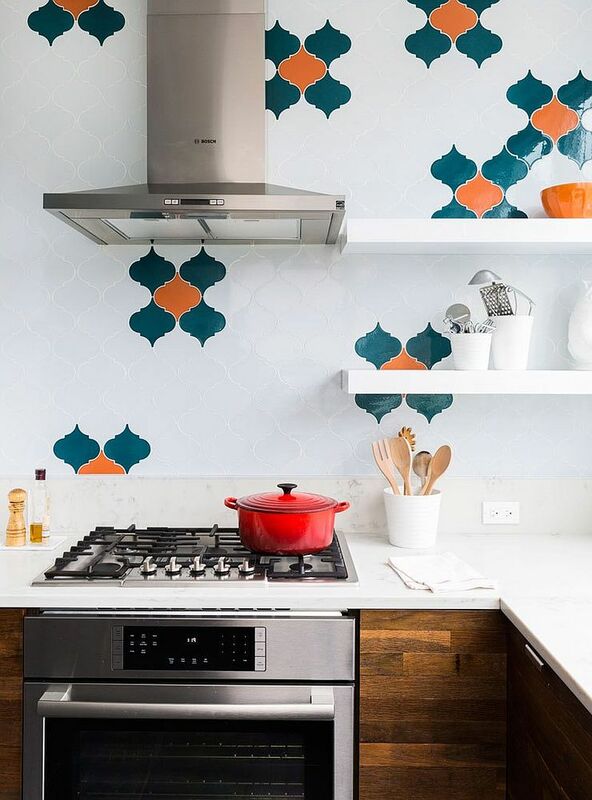 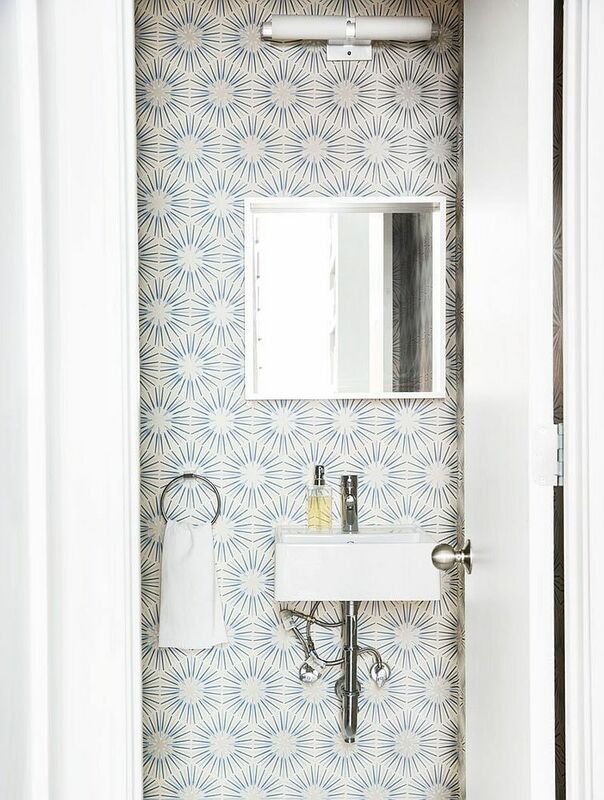 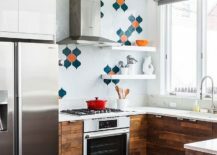 Since the rowhouse is not blessed with extravagantly large spaces, it was important to fashion a living environment that was refreshing, inviting and visually spacious without going overboard. 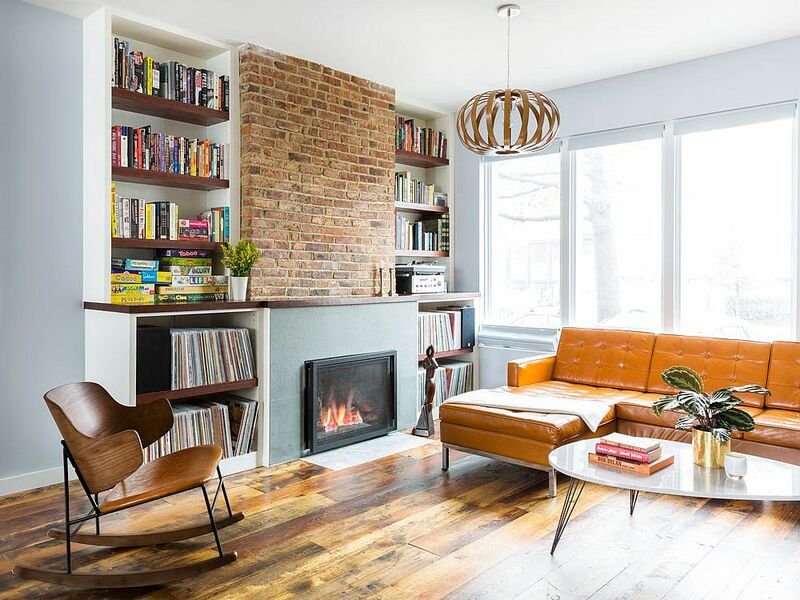 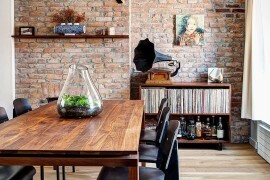 The novel bookshelves add to this facelift even as a cool fireplace with custom shelves designed to hold vinyl records flanking it steals the show in the living room. 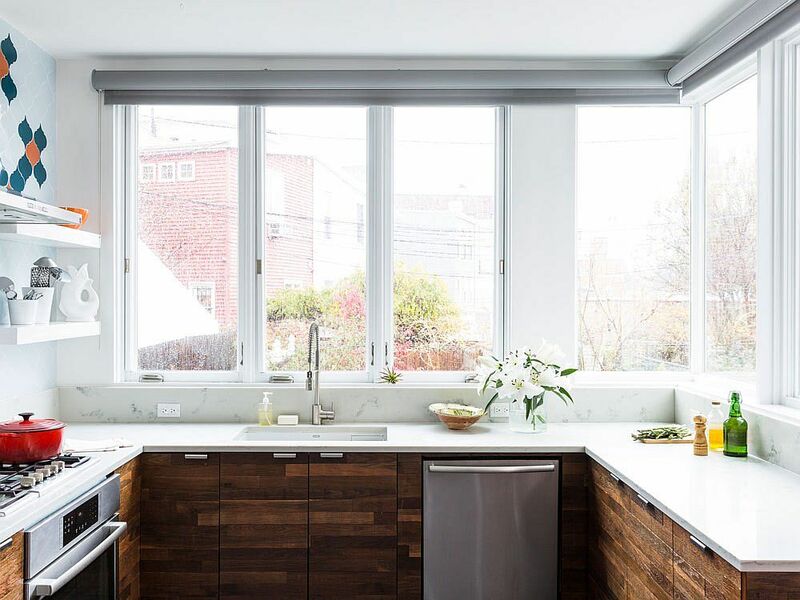 An exposed brick wall section, reclaimed pine cabinets and custom island in the kitchen and the dashing wooden dining table usher in plenty of textural contrast. 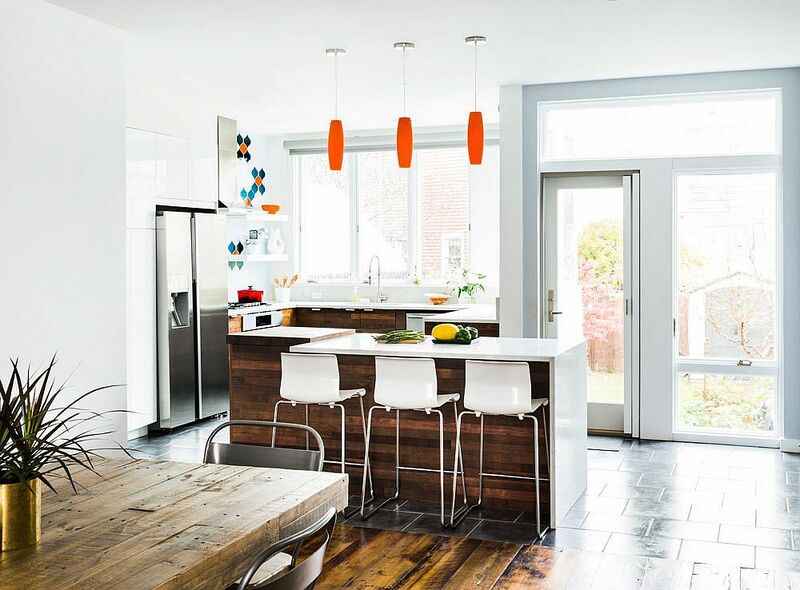 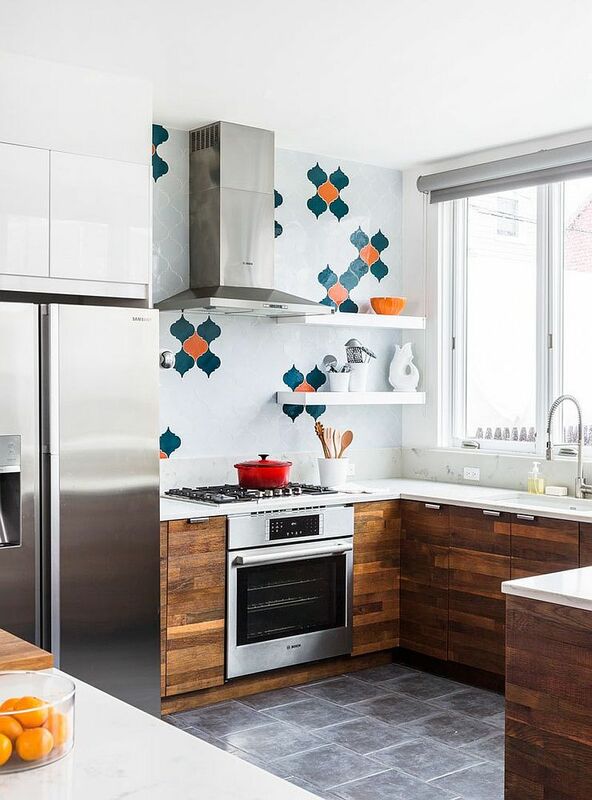 White and gray shape much of the background with pops of red, orange and blue enriching the home.